Grief is the human response to the traumatic loss of someone or something very important to the life and wellbeing of the individual. It is the psyche’s attempt at dealing with a separation from someone or something important to its own equilibrium. Whilst the abortion issue remains a contentious issue with proponents of abortion demanding the freedom to choose, and opponents of abortion also demanding an end to the killing and damage of abortion, the voices of anguished individuals who have been aborted and regret the decision remain generally unheard. The voices of men and women crying out in pain continue to remain unheard because of the din surrounding this issue. These voices need to be heard if there is to be an understanding of the abortion issue. Only through the mouths and through the tears of those who have walked the path of abortion and have not come out the other side unscathed can truth be told. From these mouths is spoken the reality that for them the abortion decision has meant anguish. These individuals were not counselled that grief was possible. They were not counselled that increased risk of breast cancer is a certainty. They were not counselled that a lifelong sorrow is assured. They were not counselled that all manner of psychological suffering and arrested behaviour would be assured. They were not counselled that life would never return to the pre pregnancy state. Just that abortion would resolve the immediate difficulties. This in itself caused the initial violation because the procedure begins with a lie. No one can return to a pre pregnancy stage. A child will be born. It will be born early, (very early). It will certainly be born dead (abortion kills children) but it will be born. It has been born to the mother carrying the child and the father who has animated that child. It will be born, but the nature of the birth and the effect on its mother and at times father will be destructive. When a child is aborted the baby has been conceived and born but born dead through the agency (usually) of its parents or those nearest to it. Born in sorrow. The hormones coursing through the body of the mother from the instant of conception ensures that dialogue begins almost immediately. Indeed dialogue begins long before its presence is even known or felt. Irrespective of the duration of pregnancy the relationship between mother and her child in the womb is begun. Termination does not negate the relationship or the pregnancy it simply ends it but the relationship has existed and will continue to exist for the lifetime of the mother. The duration and strength is unimportant. However, what is important is the reality that it has been started and has flourished even for a short time. This is what causes the anguish. The deeply held, innate, knowledge that really what existed was a child “my child” and that the abortion was permanent. It can never be reversed. It was a death sentence passed on another human being, my “son” or my “daughter” or my “baby”. This acknowledgement brings with it a deep sense of shame, guilt and terror. It puts the aborted onto a new path marked with a sign “self destruct.” Intervention then really becomes necessary if the “self destruct” sign is to be brought down. Post abortion grief counselling is unique and specialised type of counselling. This type of counselling must deal with the complicated nature of the grief and the counsellor or mental health practitioner must be prepared to understand and support the individual through the abortion pain. It is also important to understand that if the counsellor is not particularly in favour of life, the aborted woman will pick this up and will no longer feel validated and free to speak to someone who does not believe that the death of her child is of great concern. Long term this is not an ideal situation for healing. 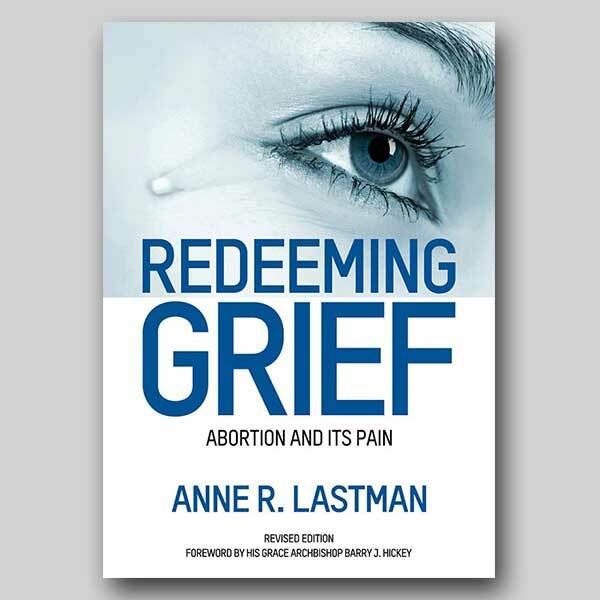 Post abortion grief is psychic and spiritual pain and dealing with this kind of pain requires dealing with and working with an individual’s own religious beliefs (whatever denomination these happen to be). This is the ideal because having a religious belief permits a belief in a future life and a place of serenity for the infant (important for the mother to know that her baby is not suffering), whereas where there is no religious belief the individual will have to try and forgive the self and often this is the most difficult thing to do. We are our own harshest critic and accuser. Having said this, there is much hope for healing of this type of pain. However, it is not “magic” it requires love, patience, perseverance and belief both in a loving and merciful God and in the value of every human life, including that of the aborted baby and importantly in the still valuable life of the mother. Doka, K.J. Disenfranchised Grief. Recognizing Hidden Sorrow. New York: Lexington Books. 1989.